The spectacular Giant Crystal Cave is connected to the Naica Mine, located in Chihuahua, Mexico. It goes around 300 meters bellow the surface. 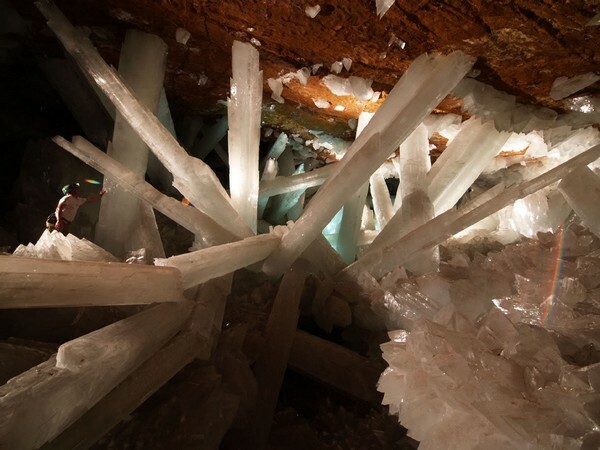 The main chamber contains the largest selenite crystals ever found, some of them reaching 11 meters in length, 4 meters in diameter and about 55 tons in weight. The conditions here are extreme, with a constant temperature of 58 °C and high humidity, proving to be a dangerous environment for those who are exposed more than 10 minutes without proper equipment. The crystals are said to be 500,000 years old and were formed from the underground magma (situated below the cave) which maintained the water at a stable temperature of 50°C, saturating it with minerals, including gypsum. This process allowed the selenite crystals to grow to the unbelievable sizes that we see today. 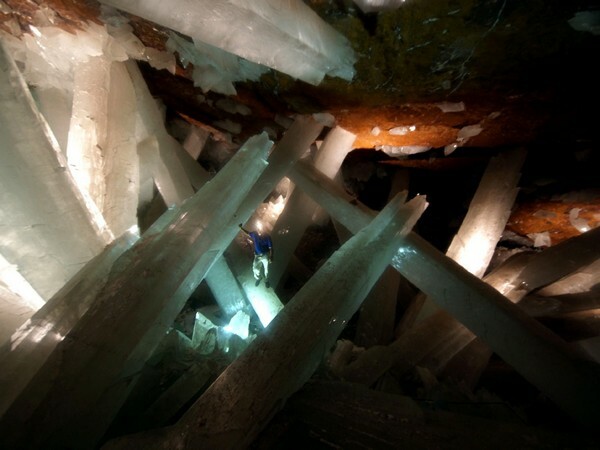 The Cave of the Crystals in Mexico can only be visited under direct professional supervision. You can read more fascinating details about the crystal cave on BBC or on the official website of the Naica scientific project. 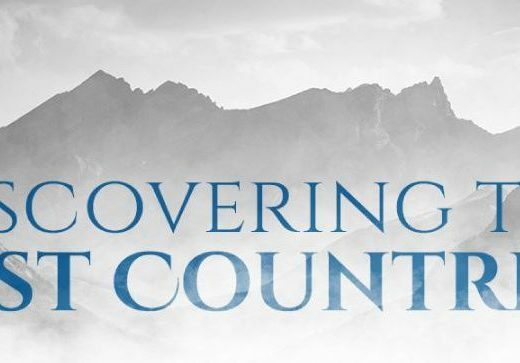 An extended and well-written journal about the adventure you see in these stunning photos can be read on National Geographic. 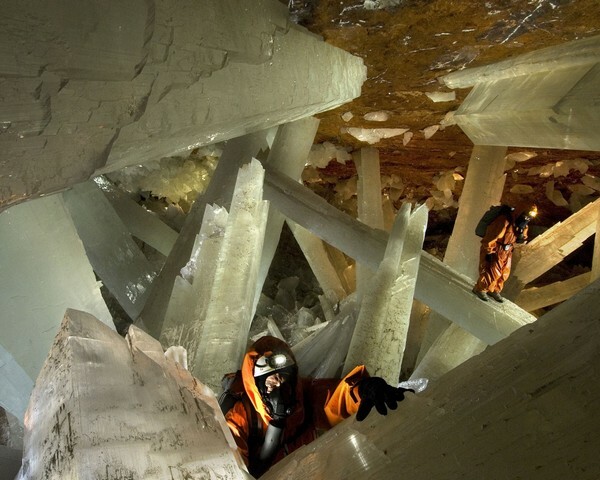 Unfortunately, the crystal caves at the Naica mines are open to scientific investigation only. Even in this case, each visitor needs proper equipment, as the temperature and humidity can easily overheat the human body. 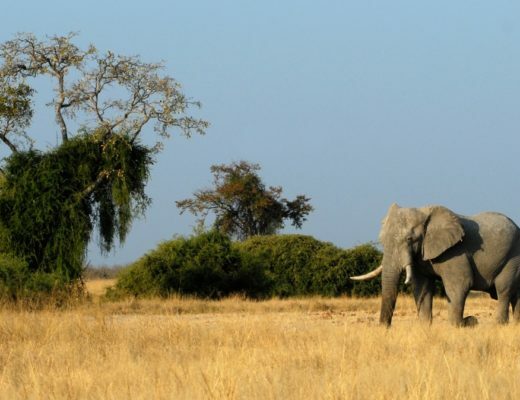 Photo credits: Carsten Peter, photographer at National Geographic. i will like to order crystals from your company,can i have their prices in range and the method of payment you do accept,I wish to start business with your good company so i look forward for your valued reply ASAP. Garry, we are a travel blog. We do not sell crystals 🙂 Have a great day back! Hi, i know it’s not really easy to go and into that cave but, I would like to know how can I go in there. 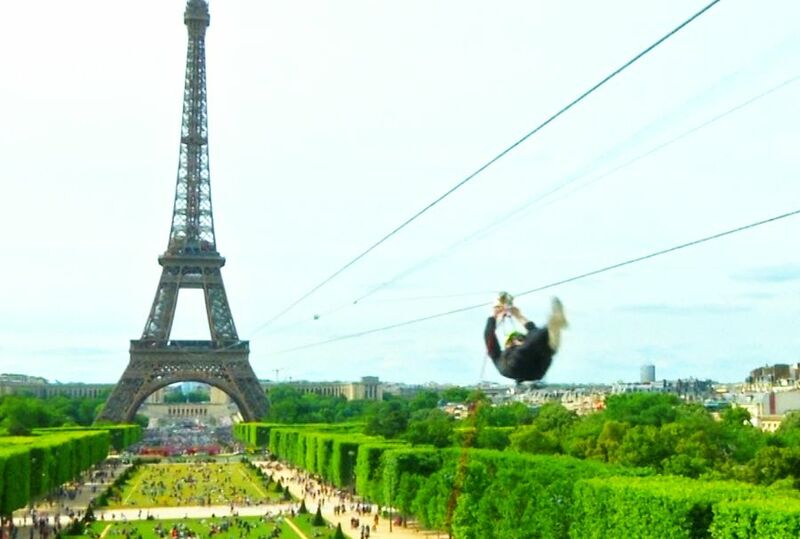 I was always having a dream to go there since when I was young, but I couldn’t find any tourism to go there. I’m living in Texas right now so it’s not really far away from Mexico. I heard the article says only scientist can go there but is it true? Is there any way to go in there if I’m not scientist? 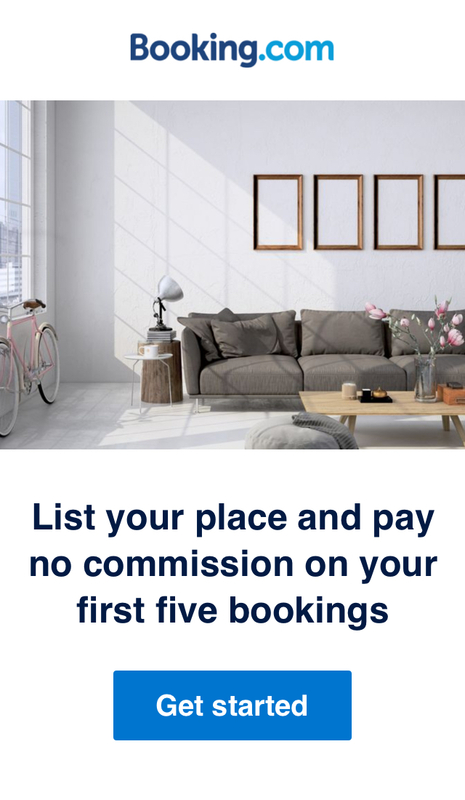 I’m looking to hear the response from you. Thank you. Yuko, unfortunately- from what we’ve read- the cave is not open to the public. 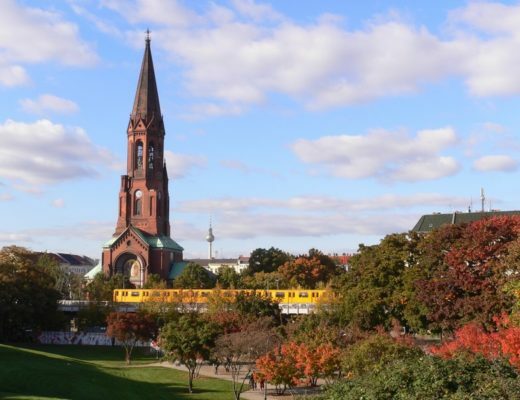 I’d love to tour something like this also. Is there anything at all similar in the world that a regular person CAN go into? It is the only cave with large crystals discovered so far. Have a nice day! Earth and it contains the largest crystals known in the world, by . I don’t care if it’s 150 degrees, I would LOVE to see this! 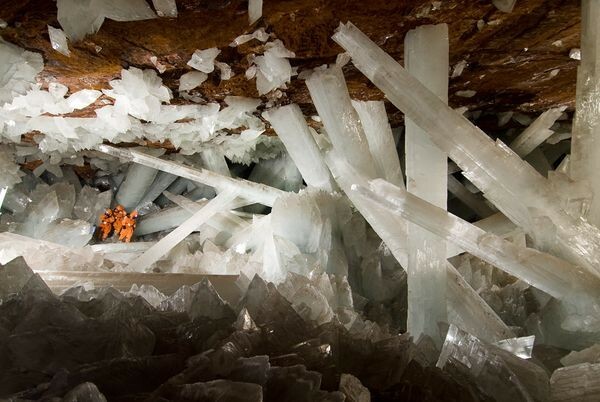 Cave of Crystals “Giant Crystal Cave” at Naica, Mexico. The chamber holding these crystals is known as the Crystal Cave of Giants, and. 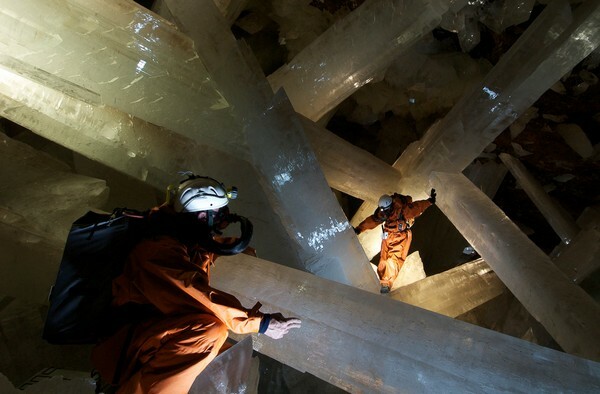 Two caverns filled with the Earth’s largest crystals were immediately revealed. Found. As its name suggests, the cave boasts the largest crystals ever found, . 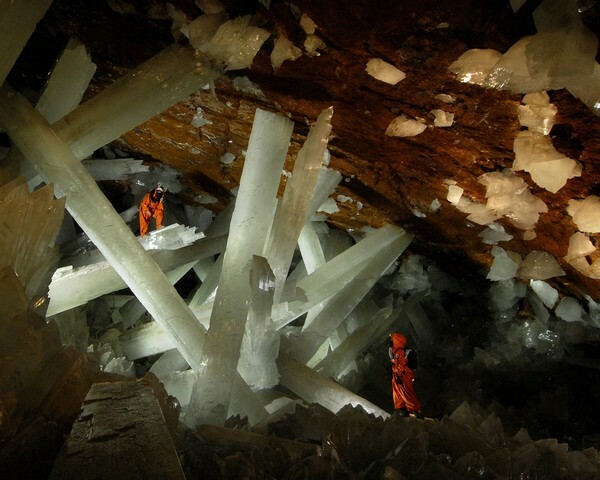 Giant Crystal Cave, in Naica, Chihuahua, Mexico, contains some of the largest crystals ever discovered. The cave’s largest crystal found to . 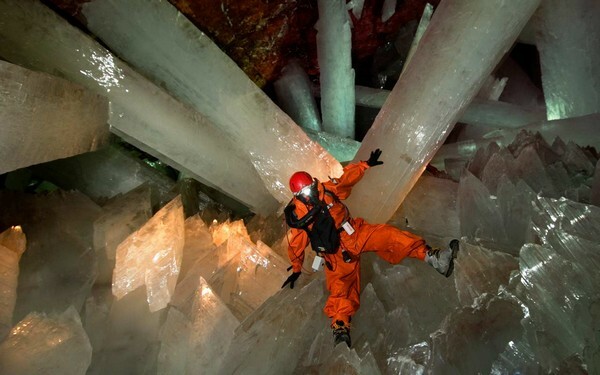 I crawled among the world’s largest crystals, . Surviving Cueva de los Cristales – The Giant Crystal Cave. Sistine. These are the largest crystals discovered on planet Earth. As its name suggests, the cave boasts the. Dinosaur Egg Agate Crystal Ball. The Place Where Superman. See more about Crystal Caves, Caves and Crystals. This is the crystal cave of giants found in the Naica Mine, Chihuahua, Mexico. They are now forever . More cabinet of curiosities than traditional guidebook, it revels in the unexpected, the overlooked, the bizarre, and the mysterious. The main chamger contains some of the largest natural crystals ever found. More cabinet of curiosities than traditional. Chihuahuas, Pictures. 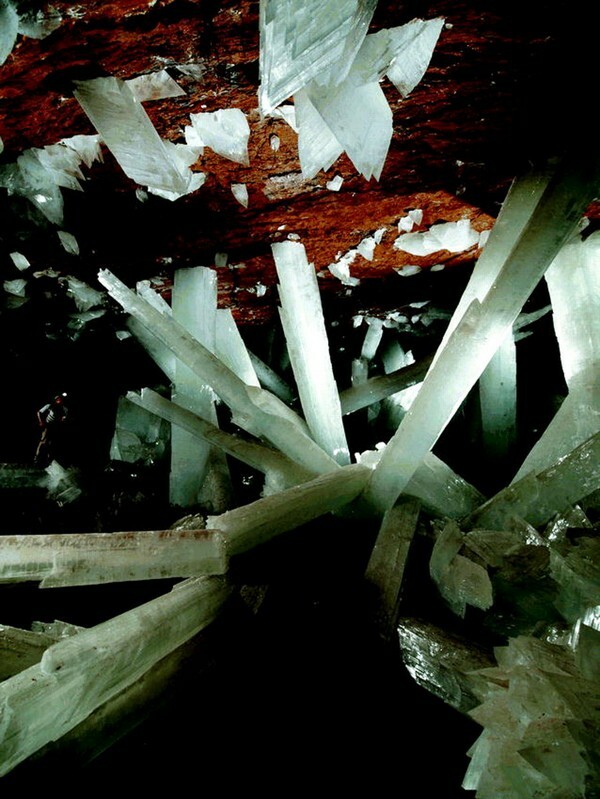 The crystals – the largest one being 39′ . 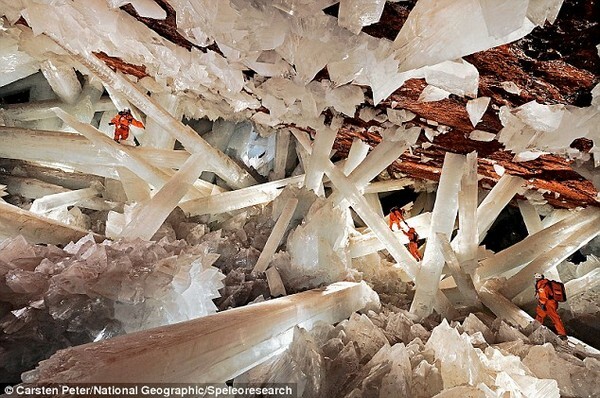 Cave of the Crystals, contains some of the largest crystals ever . Peru. Worlds Largest. Known.. They are forever. The cave contains some of the largest natural selenite crystals ever seen before — the . Ball. I would LOVE to see this! According to National Geo News, the pumps were shut down and the cave is now flooded again.